An American author of fiction, essays, and drama, Saul Bellow became famous in 1953 with his novel The Adventures of Augie March. He won the Nobel Prize for Literature in 1976. Saul Bellow was born of Russian immigrant parents in Lachine, Quebec, Canada, on July 10, 1915. He learned to speak Hebrew, Yiddish, and French as well as English. When he was nine his family moved to Chicago, Illinois, and to this city Bellow remained deeply devoted. He was raised in a strict Jewish household, and his mother, who died when he was fifteen, wanted him to become a rabbi (a Jewish master or teacher). After her death he drifted away from religious study and began to read a wide variety of books. He quickly decided he wanted to be a writer. After two years at the University of Chicago, Bellow transferred to Northwestern University and obtained a bachelor's degree in anthropology (the study of the origins and behavior of human beings) in 1937. He had wanted to study English literature but was warned that many universities would not hire Jewish professors to teach the subject. Four months after enrolling as a graduate student at the University of Wisconsin, he quit school forever. During the next decade Bellow held a variety of writing jobs—with the Works Progress Administration (WPA) Writers' Project, the editorial department of the Encyclopaedia Britannica, the Pestalozzi-Froebel Teachers College, and the Merchant Marine. His first story was published in 1941, and he published two novels. Dangling Man (1944), in the form of a journal, concerns a young Chicagoan waiting to be drafted into military service. The Victim (1947), a more ambitious work, describes a New Yorker struggling with domestic and religious conflicts. Both novels received mixed reviews. After World War II (1939–45) Bellow joined the University of Minnesota English Department, spent a year in Paris, France, and Rome, Italy, and taught briefly at New York University, Princeton University, and Bard College. Above all, however, he concentrated on writing fiction. 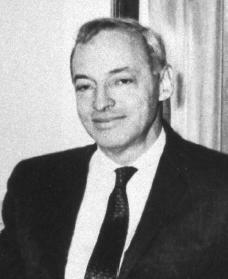 With the publication of The Adventures of Augie March (1953), Bellow won his first National Book Award. Bellow followed it in 1956 with Seize the Day, a collection of three short stories, a one-act play, and a novella (a short novel or long short story). The novella, the title of which is also the title of the volume, is about one day in the life of a middle-aged New Yorker facing a major domestic crisis. Some critics feel that this collection was Bellow's finest work. In Henderson the Rain King (1959) Bellow described an American millionaire's flight from a tangled marriage and his adventures in Africa. His next novel, Herzog (1964), won him a second National Book Award and international fame. It portrays Moses Herzog, a middle-aged university professor, and his battles with his faithless wife, his friend, and himself. Through a series of unmailed letters, many of them highly comic, Herzog finally resolves his struggles by achieving self-control. In 1962 Bellow became a professor at the University of Chicago, a post that allowed him to continue writing fiction and plays. The Last Analysis had a brief run on Broadway in 1964. Six short stories, collected in Mosby's Memoirs and Other Stories (1968), and his sixth novel, Mr. Sammler's Planet (1969), elevated Bellow's reputation. Humboldt's Gift (1975) added the Pulitzer Prize and the Nobel Prize for Literature to Bellow's list of awards. Fyodor Dostoevsky (1821–1881). Robert Penn Warren's review of Augie March in The New Republic in 1953 sums up reaction to his work: "It is, in a way, a tribute … to point out the faults of Saul Bellow's novel, for the faults merely make the virtues more impressive." In 1995 Bellow nearly died after eating poisonous fish in the Caribbean. After a long, slow recovery, he wrote Ravelstein, a novel, which was released in 2000. Also in the year 2000 he was recognized with a lifetime achievement award from the New Yorker, and he became a father for the fourth time, at age eighty-four, when his fifth wife gave birth to a daughter. Atlas, James. Bellow: A Biography. New York: Random House, 2000. Hyland, Peter. Saul Bellow. New York: St. Martin's Press, 1992. Miller, Ruth. Saul Bellow: A Biography of the Imagination. New York: St. Martin's Press, 1991.